I’ll go into detail about estimating rehab costs accurately, by helping you through the process of identifying a number of common house rehab items for your fix and flip project, and what those items should cost. Accurate construction cost estimates are some of the most difficult costs for new investors to come up with when estimating a real estate rehab project. Whereas many hope to try to take shortcuts and make up with these costs on an average rehab cost per square foot basis, the simple fact is that each real estate rehab project is different. You cannot reasonably estimate these costs without breaking them down into their components. What’s even more frustrating to new investors not familiar with how to estimate rehab costs, is that they vary widely by state, and even by city. While this is not an exhaustive list, it should give you a pretty good idea of what to expect when trying to estimate the cost to rehab a house. So, let’s go into detail of some of the considerations of each of these house rehab costs, starting with the demo and following haul away of materials. Next, let’s take a look at materials and costs for items on the exterior of the property. The interior of the property, which I go over in this next section, can be the most challenging due to the number of hidden elements involved. Plumbing and HVAC subcontractors usually quote the total installed prices only, without listing material and labor costs separately, so we don’t have good average data on this. There are a few jobs that are pretty common. Understanding how to estimate rehab costs accurately only goes so far, if you don’t have emergency funds in place for unexpected repairs. That’s where your rehab costs contingency comes into play. For example, if you are working on a 100 year old house and you don’t know whether moving a wall is going to require a structural reinforcements, or that adding a bathroom will require code updates to the entire plumbing system, then your contingency should reflect this risk and be on the higher end. You should however, try to be as precise as possible with your construction cost estimates, and remove risks by getting the information required to reduce them, whether by talking with the building department, or researching your project needs more thoroughly. 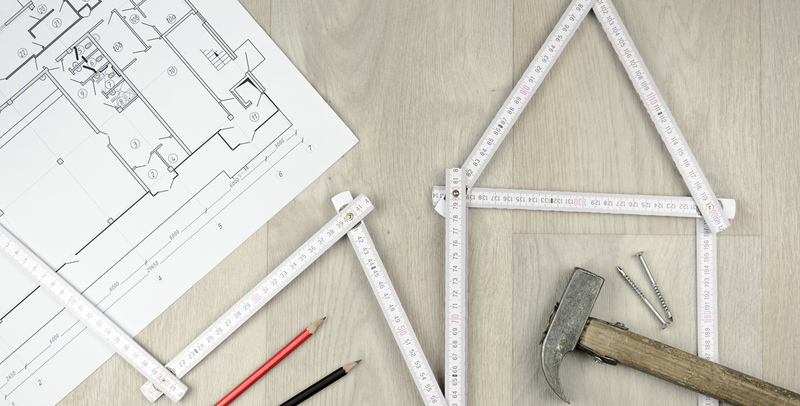 While this wasn’t an exhaustive list of construction costs for rehabbing a property, it should give you an idea on how to start being more precise with estimating rehab costs. REIkit was built using an exhaustive and up-to-date list of thousands of construction cost items, to more easily create your real estate rehab cost estimates.